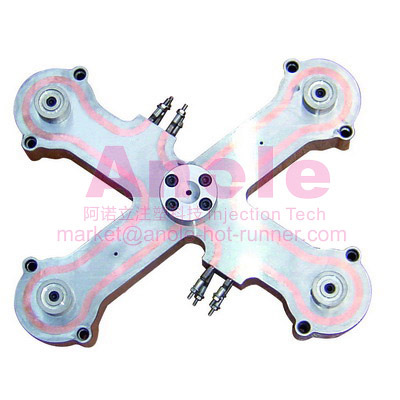 Anole’s hot runner manifold series is researched and developed in various styles, such as X, H, I, Y, K, etc. 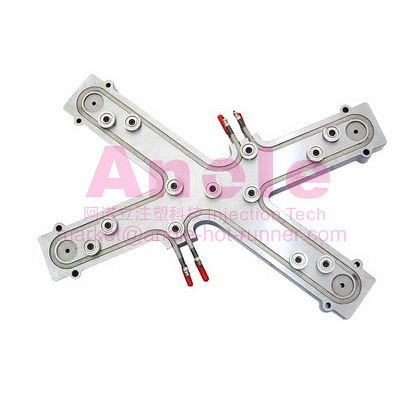 For the injection molding system, manifold is the main center part. 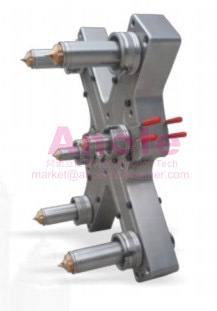 Through the hot runner, it transmits the plastic melt from spew nozzle to each cavity nozzle. 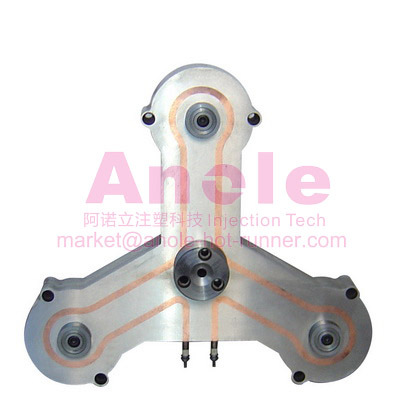 When the manifold is designed by us, the mold-flow analysis is done to determine the runner size. It ensures the bets effective results. 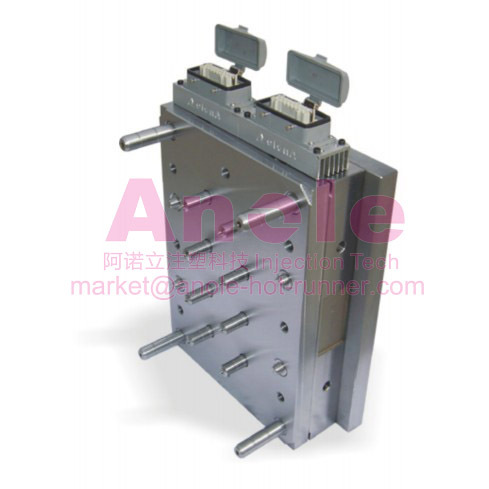 For example, multi-cavity mould requires well distributed, suitable flow shearing rate; also it needs little lost melt pressure in the hot runner, stable melt temperature and viscosity. Thus, it can protect the over-heating damage, provide smooth runner, provide fast heating and allows well controlled temperature. Anole cares for nature and environment and understands the alarming concerns that affect the nature. 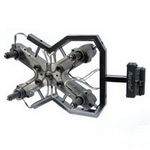 To further this thought, hot runner manifold designs are based on nature balance and balance theory. 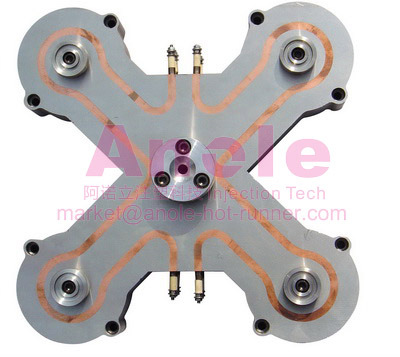 This makes sure that the mold melts with reasonable shearing speed and allowable pressure lost. 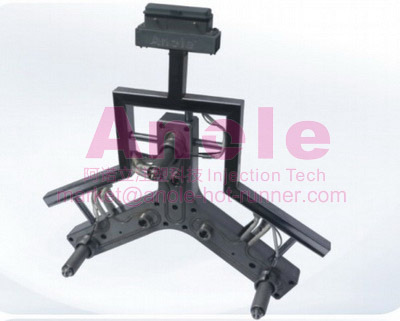 Anole designs and produces runners which are praised by many. They come up with certain unique qualities such as they change color fast, get heated easily, have high precision and temperature control, have proper runner balance and other advantages. Anole implements the quality assurance very strictly. 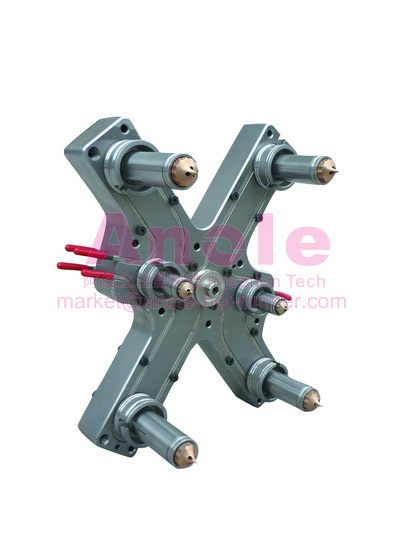 They have always being takes the quality concerns as the key for company’s development, growth, pursuit of standardization and zero defect quality management. Customer satisfaction and loyalty forms the core of our quality management system. In order to follow strict regime in terms of quality, a set of principles are laid down which are followed diligently.